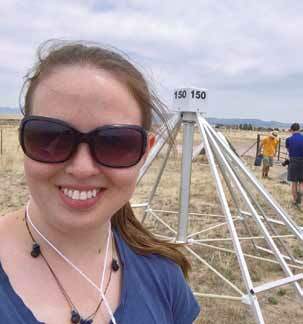 Following the launch of ASTERIA from ISS in November, we talk to longtime participant, now EAPS postdoc, Mary Knapp. ASTERIA (Arcsecond Space Telescope Enabling Research in Astrophysics) is a technology demonstration of astrophysical measurements using a CubeSat, with a primary goal of training early-career engineers. 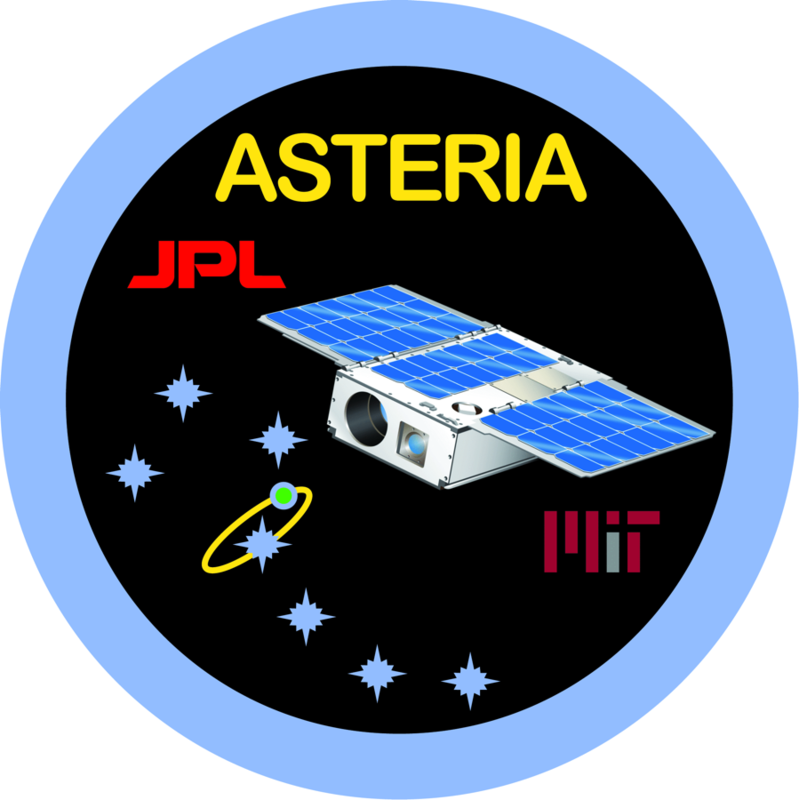 ASTERIA has been developed under JPL's Phaeton program to provide recent college graduates, under the guidance of experienced mentors, with real, rapid, hands-on exposure to the multiple disciplines and phases of a flight project. ASTERIA's technical goal is to achieve arcsecond-level line-of-sight pointing error control and highly stable focal plane temperature control. These technologies are important for precision photometry that is, the measurement of stellar brightness over time. Precision photometry, in turn, provides a way to study stellar activity, transiting exoplanets, and other astrophysical phenomena. ASTERIA grew out of the joint AeroAstro/EAPS course 16.83/12.43 Space Systems Engineering. This capstone course ran for three semesters from Spring 2010 through Spring 2011. Led by Profs. Sara Seager and David Miller, the class of 40+ undergraduate students and graduate student TAs was split into two groups, each working on one of two satellite projects: CASTOR (Cathode Anode Satellite Thruster for Orbital Reposition), an orbital maneuver and transfer microsatellite; and ExoplanetSat, the project that eventually became ASTERIA. A member of that class was then undergraduate, now EAPS postdoc, Mary Knapp. Following deployment of ASTERIA into low Earth orbit from the International Space Station on November 20, 2017, EAPSpeaks sat down with Knapp to learn more about this rather special mission from someone who has had the unique opportunity, for so junior a scientist, to follow it from its beginning. EAPSpeaks: What is ASTERIA, and why is it important? What is it to be used for? Mary Knapp (MK): ASTERIA's purpose is to mature and demonstrate two key technologies for high-precision photometry in a CubeSat-sized package: high-precision pointing and thermal control. High-precision photometry, or very careful measurement of a star's brightness, is necessary to detect transits of small exoplanets, measure stellar flares and magnetic activity, perform astroseismology, and support myriad other astrophysics applications. High-precision pointing control and thermal control are necessary for high-precision photometry to minimize systematic noise sources that can masquerade as a transit or other astrophysical signal. Each pixel within an array detector such as a CCD or CMOS imager has slightly different sensitivity compared to its neighbors. There are also variations in sensitivity across the surface of a single pixel. If the focused light from a star wanders across multiple pixels due to poor pointing control, the sensitivity differences within and between pixels intrapixel and interpixel variations can cause the detected light to increase and decrease with time. Since we're interested in measuring the increase/decrease in star brightness with time rather than detector effects, we want to minimize pointing wander and hold the starlight fixed on the same set of pixels throughout an observation. Changes in temperature can add similar variability to photometric time series. Thermal expansion/contraction can change the focus of the telescope, affecting the shape and size of the star on the detector. Detector pixels are also very sensitive to temperature changes: small temperature changes can change the response of each pixel to incoming light. ASTERIA has a two-stage pointing control system to address pointing control. A set of reaction wheels points the telescope at our target star and tries to hold that pointing. There is some error in the reaction wheel pointing, however. The second stage, or fine pointing system, measures the positions of up to eight stars on the detector. When the stars move due to reaction wheel pointing error, a piezoelectric actuator shifts the detector position to compensate. ASTERIA's predicted pointing stability is less than 5 arcseconds, and perhaps even better, putting it on par with much larger spacecraft like Kepler and TESS. ASTERIA's thermal control system uses thermal isolation in concert with active heating to maintain a stable temperature during observations. Careful design and material selection isolates the telescope and detector thermally from the rest of the spacecraft to minimize the change in temperature as ASTERIA moves from sunlight to shadow and back again. A closed-loop control system then heats the detector to a temperature slightly above the maximum of the day/night cycle and holds steady at the set temperature. The predicted thermal stability for ASTERIA is 0.01 degrees C, again putting ASTERIA on par with much larger space telescopes. ASTERIA is demonstrating these technologies in the hope that they can be used on future CubeSat and/or small satellite space telescopes the goal is to enable high-quality space-based science in a small, cost-effective package. There is some reluctance in the astrophysics community to see small spacecraft as useful for cutting-edge science. If ASTERIA is successful, we hope to challenge that perception. If ASTERIA completes its technology demonstration objectives successfully, we plan to perform photometric observations to observe known exoplanet transits, perhaps detect new transiting planets, and measure stellar flares and magnetic activity. EAPSpeaks: How did you become involved in ASTERIA? MK: I did an REU (Research Experiences for Undergraduates) at Cornell with Jamie Lloyd in Summer 2009, with a focus on space-based exoplanet observations. Jamie suggested that I contact Sara [Seager], who I had not met at that point, about a UROP (MIT's Undergraduate Research Opportunities Program) for Fall 2009. Sara very generously hired me as a UROP for the semester. I worked on target field selection and characterization as a UROP, and then joined the class when it kicked off in Spring 2010. I've been involved at some level ever since. After the class ended, we worked closely with Draper Lab for a period of time to further develop the key technologies: camera and pointing control. I worked on the image capture system and took the telescope to New Mexico to do night sky testing. I was involved in several proposal efforts, some in collaboration with JPL, intended to get funding for full spacecraft development and flight. Unfortunately, however, those efforts were not successful. Finally, in 2014, JPL agreed to fund the project internally as part of their Phaeton program. The Phaeton program is dedicated to providing flight project experience for "ECHs" (early career hires). The official kickoff for the JPL effort was October 24, 2014. ExoplanetSat was renamed ASTERIA when JPL agreed to fund it through the Phaeton program to reflect the change from a science mission to a technology demonstration mission. EAPSpeaks: Launch was from the ISS November 20 . How are things working? What is your specific role in the mission? MK: Yes, things are going well. We made radio contact the day after deployment November 21, a day earlier than planned and we found ASTERIA happy and healthy. We've had a few anomalies so far, but we've recovered from them and have modified procedures to avoid repeats of these problems. We're nearing the end of our checkout period and will be moving to our technology demonstration phase soon, assuming no additional surprises. The camera had first light on December 8, and we downlinked the first image of our target starfield last week. We are now moving on from the checkout phase of the mission to the technology demonstration phase. My official role is "science team member." The ASTERIA science team is composed of Sara (PI), myself, and Brice Demory, former EAPS postdoc, now a professor at University of Bern. I've been "embedded" with the JPL operations team since a week before deployment. Earlier, in parallel with learning how to operate the spacecraft, I had been working with Sara and Brice to develop observation plans ready to begin executing once we had finished with the checkout phase. With that successfully behind us, we are now in the technology demonstration portion of the mission, and I have transitioned to operating the spacecraft most of the time. EAPSpeaks: How does ASTERIA fit in with observing tools such as Kepler and the James Webb? MK: ASTERIA is a very different class of mission from Kepler or JWST. Those large telescopes are able to observe much fainter stars than ASTERIA or its CubeSat/small satellite successors. The benefit of small space telescopes is that they can be tailored to specific science cases rather than needing to serve a variety of interests from the broader astronomy community. Hundreds of people will submit proposals for time on JWST for a wide variety of observations supernovae, cosmology, galaxy evolution, exoplanets, etc. but only a fraction of those proposals can be accepted. A small telescope like ASTERIA could, for example, observe Alpha Centauri for years continuously to search for a transiting Earth-sized planet. Long-duration observations of bright stars are often not feasible for large in-demand telescopes like Hubble or JWST. Another big advantage of small telescopes in space over ground-based telescopes is that they don't have to contend with atmospheric effects, there are no cloudy nights, and they can observe stars continuously, or nearly continuously, since there's no horizon in the same way there is for ground-based telescopes. Obviously, ASTERIA's small aperture cannot compete with the light-gathering power of the biggest and even small ground-based telescopes, but ASTERIA, and hopefully future similar observatories, can do excellent science on bright stars. Discovering transiting exoplanets around the brightest, nearest stars is highly valuable, because those exoplanets will be prime targets for detailed atmospheric spectroscopy. ASTERIA and her potential successors are complementary to larger observatories: Hubble, JWST, Kepler, TESS, etc. Small space telescopes can fill niches that are difficult or impossible for large telescopes due to the high demand on their observing time. Large telescopes often have bright object limits too, so they can't observe the brightest stars in the sky without carefully customized observing strategies and sometimes not at all. EAPSpeaks: What have you come to appreciate most as a result of your participation in ASTERIA and the activities that led to it? MK: I've had the incredible opportunity to participate in a space mission from inception to operations very early in my career. Given that the development cycle for larger space missions is often measured in decades, I'm extremely fortunate in this regard. It's hard to pick one experience that stands out the most. Participating in the process of seeking funding for the project repeatedly was highly educational, and I'm sure will serve me well in the future. Actually, operating a spacecraft that I had a hand in designing is definitely a high point. I've definitely learned why people say space is hard: there's nothing routine or standard about making electronics and software work reliably in [a] vacuum 400 km above the earth. Mary Knapp received a BS in Aerospace Engineering at MIT in 2011, a PhD in planetary science from MIT in 2017, and is currently a postdoc in MIT’s Department of Earth, Atmospheric, and Planetary Science. Her research focus is the detection and characterization of exoplanetary magnetic fields via low frequency radio emission. Her additional research interests include the development of small spacecraft for astronomy and planetary science. She has participated in the development of the CubeSat ExoplanetSat (now renamed ASTERIA) since 2010. ExoplanetSat was developed at MIT for several years. ASTERIA, built by JPL, was launched in August 2017 and is currently in operation. Sara Seager is a Professor of Planetary Science, Professor of Physics, Professor of Aerospace Engineering, and holds the Class of 1941 Professor Chair in the Department of Earth, Atmospheric and Planetary Sciences. Professor Seager works on space missions for exoplanets and is the PI of the CubeSat ASTERIA mission, a 6U CubeSat capable of high precision pointing, with the science goal of detecting small transiting exoplanets orbiting bright, sun-like stars.